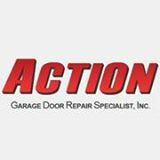 David exhibited great customer service in explaining my options for my garage door repair. I went with a new opener. He fully inspected my door, the rails, etc and did a great job. Excellent service again. Thank you! Richard is the best! Good workmanship, and all my questions were answered. David V. was professional and excellent technician. David gave a good explanation of the good or best repair options. We decided on the options that were best and he performed the repairs in an excellent and timely manner. David is not only an experienced technician but is also a valuable customer relations ambassador for your company. We will proudly recommend David and your company to friends and neighbors. Could not be happier with the work and the technician! David V. was great and does Excellent work!! My door has never run smoother and I've had it for several several years. I would like him to be sent out any other time I might need work if it all possible! Garage Door Repair, Installed New Liftmaster Opener, Rollers, Bottom Seal & Applied a Door & Opener Tune up!